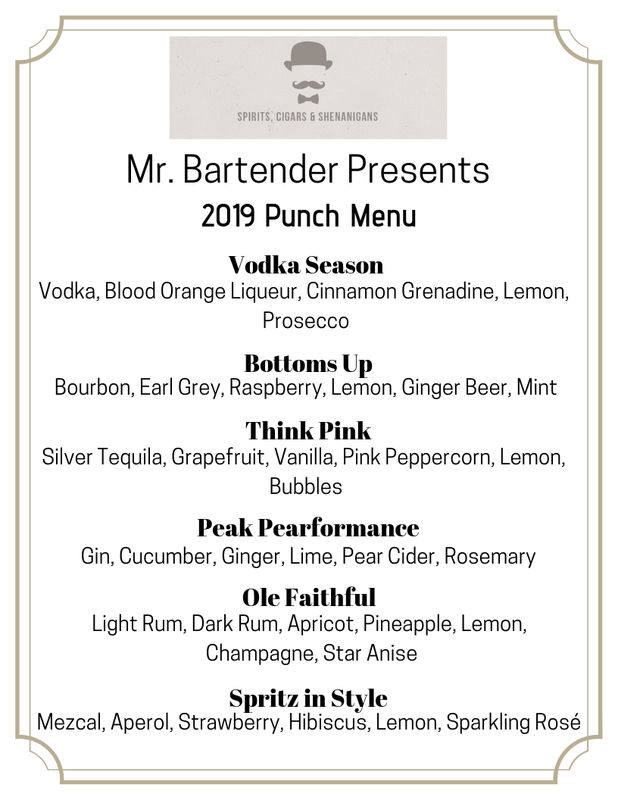 Welcome to Mr. Bartender’s Punch Program! Because everyone deserves to feel fancy at a party! For $25, you get a vintage glass punch bowl and 12 adorable vintage glass punch cups if you pick one of our fan favorite punch recipes down below. More punch glasses are available for rent for $1.33 each.